Today I am sharing with you a little outdoor junk art. As seen online in numerous sites available all over the internet, I bring you pallet art. Shipping pallets can be collected from many local business for free. 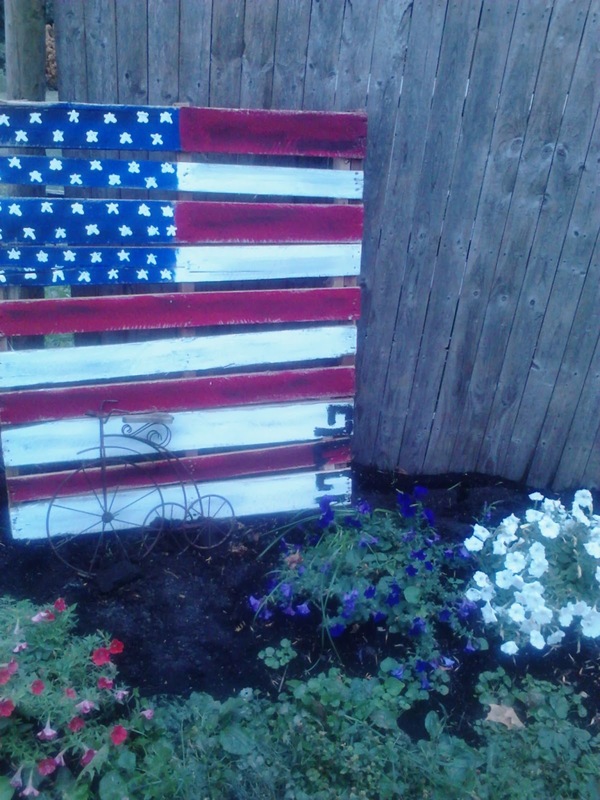 If you would like to give pallet art a whirl head to a local business and pick one up. Just make sure you check with the store prior just to make sure they do not mind. For this junk art pallet creation I used an old pallet that was on its last leg. 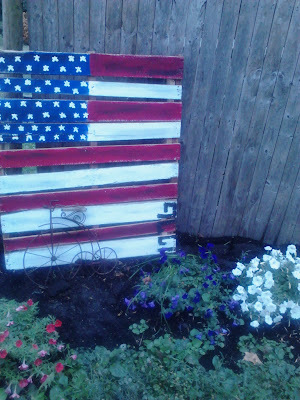 The falling apart pallet was the perfect canvas for my garden flag. I simply painted the pallet to resemble the US Flag and added stars and the date. After the flag dried my daughter and I carried it out to the flower bed. There is just something about junk in the garden.